I have a birthday weekend coming up and I have to say that I’m at the age where I’m just not that into the festivities. I would really like a little time to spend by myself in the garden planting the rest of the vegetable garden. I find I miss spending time by myself. Working with my husband means that we are together pretty much all the time and while it’s great to have a flexible schedule and spend time with each other I crave a little solitude once in awhile. I miss the ability to meander. I think you know what I mean, shopping with my husband usually entails me running in and making my purchases as quickly and efficiently as possible, no lingering. I think I’m going to try and find a little me time this weekend and do all the things that I can’t when I’m with my family. Maybe I’ll get up and head to the farmer’s market and then stay downtown and visit some of my favorite shops and grab a really good cup of coffee. Breakfast recipes that I can make in advance and have on hand for a few days are a plus since I am not at my best first thing in the morning. Baked oatmeal is a great option for making ahead and you can just warm it up when you are ready to eat it. 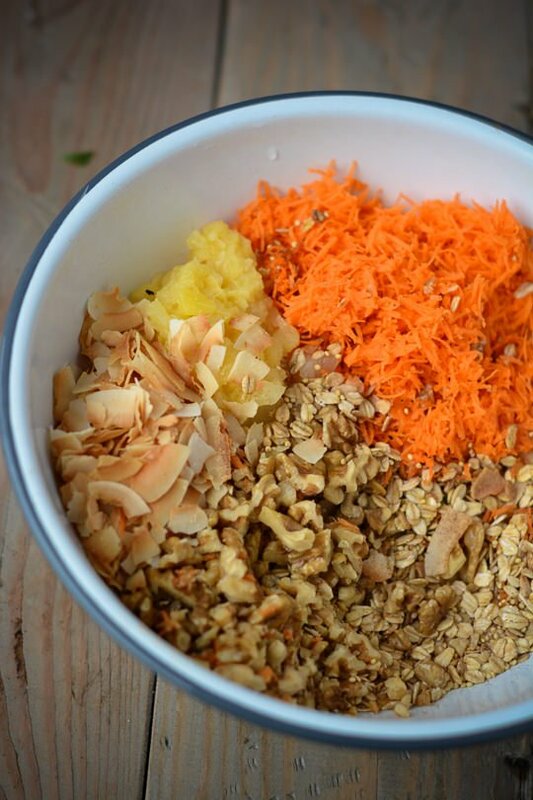 This is a tropical spin on carrot cake with lots of pineapple and toasted coconut. 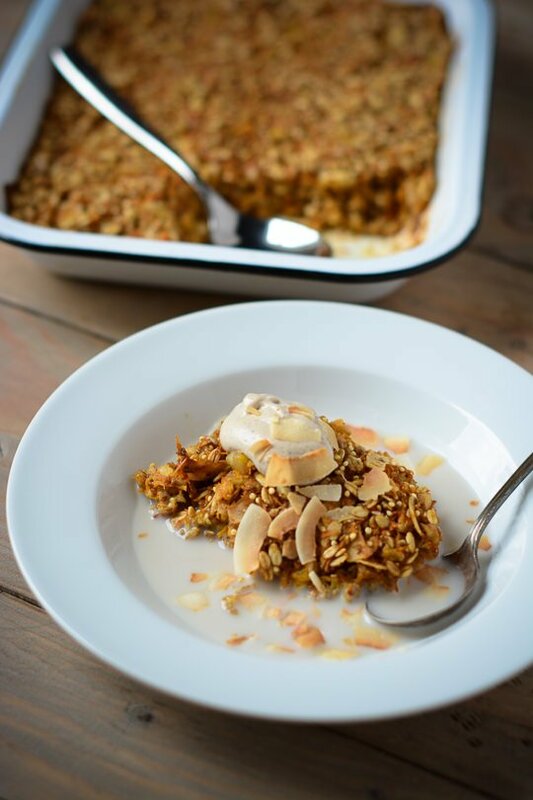 If you’ve tried my baked coconut oatmeal this is a vegan variation that I love just as much if not more. I like to serve it with some maple cashew cream but it’s delicious with or without it. Combine the almond milk with the flax seed meal and set aside for at least 5 minutes while you prepare the rest of the ingredients. Pre-heat the oven to 350 degrees and spray a 8″ x 11″ rectangular baking dish with cooking spray. In a large bowl, combine the oats, millet, chia seeds, coconut, walnuts, cinnamon, cardamom, baking powder, and salt. 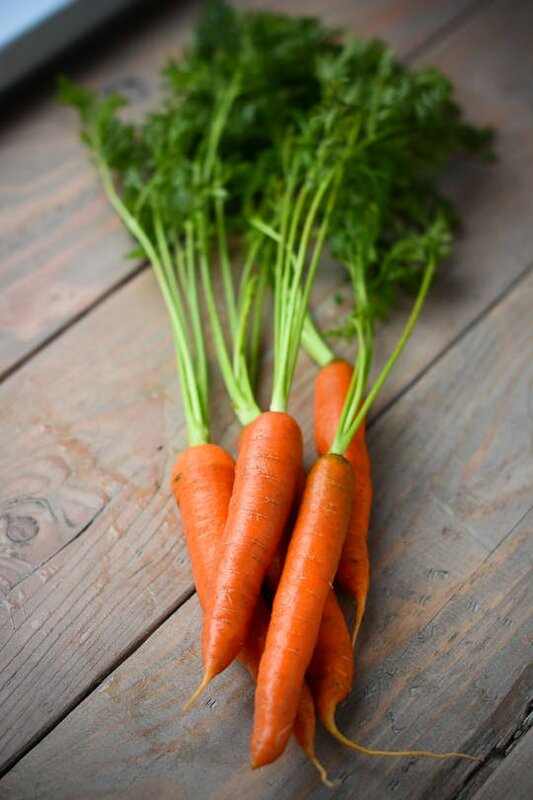 Pour the almond milk mixture into a large bowl and add the carrots, pineapple, maple syrup, vanilla and ginger and mix to combine. Pour the mixture into the prepared baking dish and smooth out with a spoon. Bake uncovered for 35 minutes until lightly golden brown. The oatmeal will still be a bit soft in the center but will set as it cools. Pour a little almond milk over the top and garnish with maple cashew cream, a drizzle of maple syrup and some extra coconut and walnuts. The oatmeal will keep in the fridge or 3-4 days or you can freeze it up to a month. Cover the cashews with cold water and let them sit for at least one hour or up to overnight. Drain and rinse the cashews. Place the cashews, maple syrup, almond milk, whole vanilla bean, and salt in a blender and blend until creamy and smooth. Looks delicious! I love your breakfast recipes! I am one of those people that can’t do cashews. 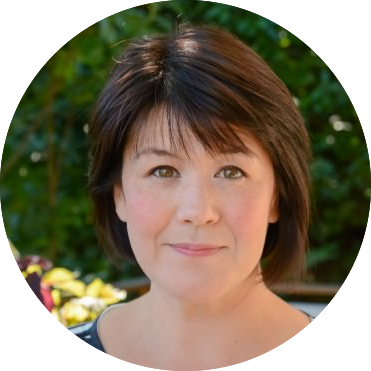 Have you ever tried using almonds or macadamias or? Happy birthday! I hope you get some quality time with yourself; sounds like a perfect way to spend your birth day. I haven’t tried using almonds or macadamias but I would think that macadamias would be a possibility. The nice thing about the cashews is that you don’t really get any grainy pulp, I think the almonds wouldn’t process as well. Let me know if you try it and it works out for you! Another option would be to try some whipped coconut cream instead. Mmm this looks early good. Something different than the usual breakfast options. I have really been enjoying this in the mornings. It feels like eating dessert for breakfast! I just discovered your blog. What lovely pictures! This sounds absolutely delicious. I loved your coconut oatmeal so I’m excited to try this variation. Happy Birthday! I think I like this version even more than the coconut one! I hope you like it! We ate this for breakfast this morning and it was AMAZING! I put a bowl of the leftovers in the freezer for a 7-3 nursing shift I have this weekend…I usually work evenings so it will be a treat to get me out of bed in the cold NewEngland darkness! 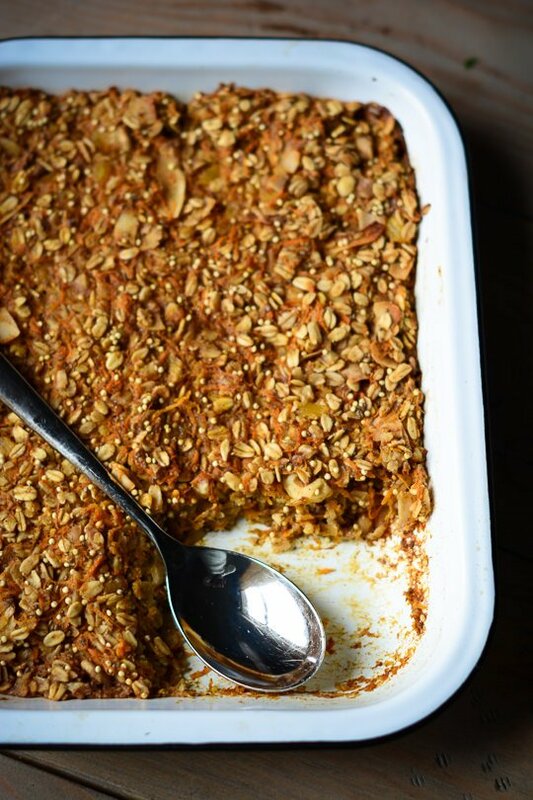 I’ve made baked oats before but this was VASTLY the best treatment I’ve eaten. 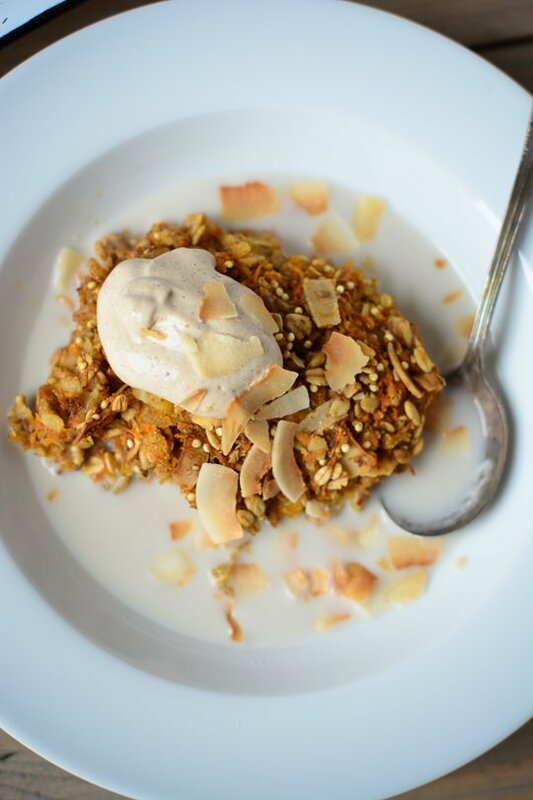 The sweetness was more subtle, the extra fiber from the flax, chia and all the nuts and an extra hit of grain –I was out of millet so subbed quinoa, no problem–made it a healthy sustaining breakfast and not in the coffee cake family. So wonderful. Ill be making this again and again! I’m so glad you enjoyed the baked oatmeal. I’m not a huge fan of traditional oatmeal but I love this version of it. I actually just posted a new overnight oat version of this recipe. I’d suggest trying the addition of a few chopped dates to the batter before baking to add a bit more sweetness, but not too much. 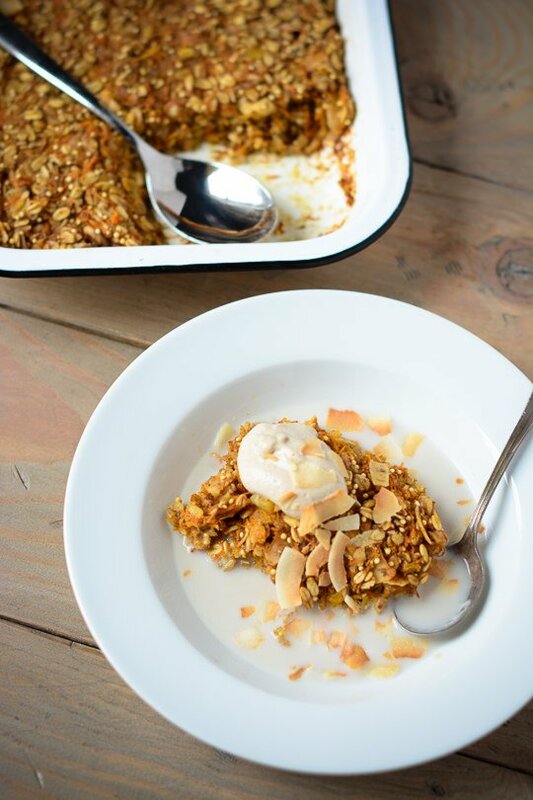 Here’s a link to another version of baked oatmeal as well as the carrot cake overnight oats. Thanks for trying the recipe and the kind words!